Of the five New York City boroughs, Staten Island is the most rural. With a land area over twice that of Manhattan, Staten Island has the fewest number of inhabitants. Located across the New York Harbor from the southern most portion of Manhattan, the island is connected to Manhattan by the Staten Island Ferry. The free 20 minute ride across the New York Harbor on the Staten Island Ferry features unobstructed views of the Statue of Liberty. The Staten Island Ferry Terminal is located in an area of Staten Island called St. George. Within walking distance of the terminal are shops, restaurants and sights. Called the gateway to the island, St. George contains Richmond County Bank Ballpark - home of the Staten Island Yankees minor league baseball team. Located on the St. George esplanade is Postcards, Masayuki Sono's memorial to the Staten Islanders who lost their lives as a result of the September 11, 2001 attack on the World Trade Center. Depending on one's view, Postcards is said to resemble a resting butterfly, pages of an open letter, a simple V shape or an oversized trapeziod. Several Staten Island attractions are located within the 83-acre New Brighton National Historic District west of St. George. Attractions include Snug Harbor Cultural Center, Staten Island Botanical Garden which houses the New York Chinese Scholars Garden, the Staten Island Children's Museum and the Noble Maritime Collection. Staten Island visitors can ride the S40 bus from the Richmond Terrace outside Richmond County Bank Ballpark to the Snug Harbor Cultural Center. Staten Island is also called Richmond. The center of the borough is called Richmondtown and features Historic Richmond Town, a living history village and museum complex. There visitors can explore early Staten Island residential life, visit a county fair, take a quilt-making class or enjoy a music series. Another Richmondtown attraction is La Tourette Park containing La Tourette Golf Course, an 18-hole public golf course with views of the New York Harbor. The Staten Island Mall is also located in Richmondtown. South Beach located on Staten Island's eastern shore features a 1.7 mile boardwalk and Ocean Breeze Fishing Pier, one of New York's largest piers. Just south of South Beach is Midland Beach where the annual Back to the Beach Celebration is held. 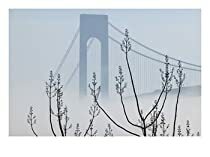 The Verrazano-Narrows Bridge on the eastern shore connects Staten Island to Brooklyn. Near the Bridge is Fort Wadsworth, one of the United States' oldest military sites. 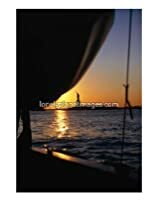 A short distance from the site is Alice Austen House Museum containing the life work of the 19th century photographer who captured Staten Island inhabitants from the late 1800s to the early 1900s. Admission to Historic Richmond Town, the Staten Island Botanical Garden and the Staten Island Children's Museum is included in the purchase of a New York Pass.